Offering you a complete choice of products which include pressure feed container. Unique Homogenous and Oscillating Paint Agitation for maintaining viscosity. Optional – Unique Paint Agitation Pneumatic Air Motor for oscillating agitation. 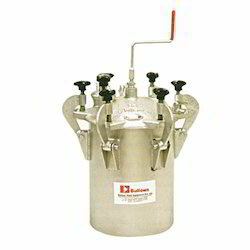 Looking for Pressure Feed Container ?